Ann Romney Co-Hosts "Good Morning America"
Ann Romney, shown at the Republican National Convention in August, guest-hosted ABC's "Good Morning America" on Wednesday. Mitt Romney's wife Ann co-hosted ABC's "Good Morning America" Wednesday, sharing her love of horses — plus the recipe for her family's beloved Welsh cakes. 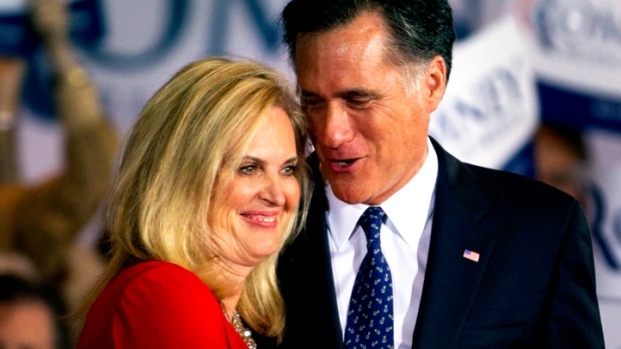 Ann Romney, who has multiple sclerosis, described her depression after receiving the diagnosis 14 years ago and how horses helped her overcome her fear that she would wind up wheelchair-bound. "I was very, very weak and very much worried about my life, thinking I was going to be in a wheelchair as well," she said. "Turned to horses, my life has been dramatically different. They gave me the energy, the passion to get out of bed when I was so sick that I didn't think I'd ever want to get out of bed." "It's so extraordinary what horses do for us," she said while standing in New York's Times Square, petting Paralympic horse Lord Luger as rider Rebecca Hart discussed how equine therapy had helped keep her, too, out of a wheelchair. The GOP candidate's wife is part-owner of a horse that competed this summer in the Olympic sport of dressage, the equine equivalent of ballet. On "GMA" Wednesday, Ann Romney opened up the show's 8 a.m. hour with a batch of her family's Welsh cakes, which she presented dressed in a red apron and wielding a large knife. During the show, she also helped interview the competitors eliminated Tuesday night from "Dancing with the Stars" — and very nearly escaped a burn when, during a cooking segment with actor-turned-cookbook author Stanley Tucci, a pot of butter "exploded." "I don’t know — my plane almost goes down, now I almost get burned with butter!" she laughed, in a joking reference to an emergency landing her plane made last week for an electrical fire. She was filling in for co-host Robin Roberts, who is recovering from a bone marrow transplant. ABC says it is in discussions with first lady Michelle Obama for a similar guest appearance. In a separate interview broadcast Wednesday on Fox News Channel's "America's Newsroom," Mrs. Romney said she immediately knew as the first presidential debate began last week that her husband would win because of the energy he showed. "I knew after the first question," she said in the taped interview. "I turned to my son after 50 minutes, and I gave him a nudge, and I said, 'It's 100 to zero right now.'" 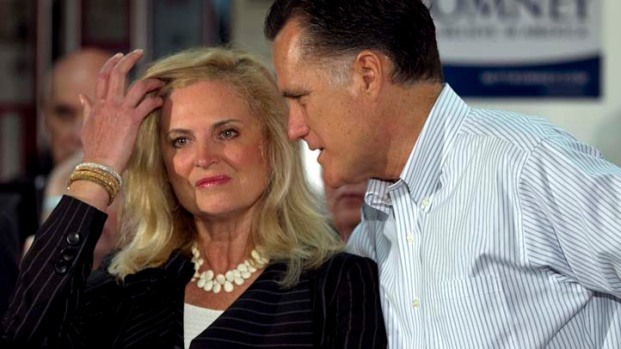 Mrs. Romney sharply disputed accusations from Obama's campaign that her husband lied during the debate. "It's sort of like someone that's, you know, in the sandbox that like lost the game and they're just going to kick sand in someone's face and say, 'You liar,'" she said. She said she hopes her husband's performance leads more women to support his campaign because so many of them approach her on the campaign trail to say how they are struggling in the current economy. "These are real people out there. They're not numbers to Mitt and I anymore," she said. 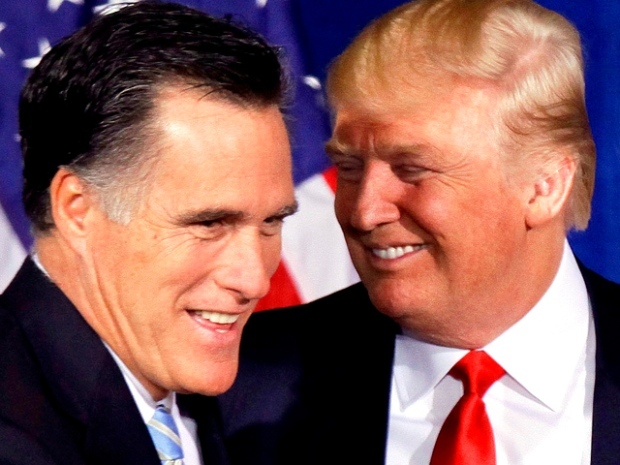 "And I hope that came across, that why Mitt's running, is to make the economic opportunities for people that are out there that are really, really desperate."